Gigabyte has launched a new gaming mouse aimed at eSports players. The Aorus M2 Gaming Mouse is said to be lightweight (76g) and designed with a low profile for comfort and fast movements. Backing up those design goals are the internal 32-bit ARM processor, enthusiast-grade 6200 dpi optical sensor (Pixart 3327), and Japanese Omron switches under both main buttons. The new Aorus M2 gaming mouse has an ambidextrous design and is lightweight at just 76g. Gigabyte says that its design is particularly durable and it is thus suited to the rigours of eSports. Other appealing specs for competitive gaming include the Pixart 3327 sensor which is capable of accurately tracking 220ips and 30G of acceleration. This sensor is adjustable in 100dpi increments to fine-tune to your play style (from 200 to 6200dpi - default toggle between 400/800/1600/3200dpi). Adjusting the dpi level is simple with the on-the-fly dpi button and scroll wheel. As a truly ambidextrous design, some users will be pleased that there are twin side buttons on both the left and right sides of the Aorus M2 Gaming Mouse. The left and right main upper mouse buttons in this symmetrical design use switches from Omron and are well regarded by PC enthusiasts for their crisp, tactile response. Furthermore, they are guaranteed for a lifetime of over 50 million clicks. Gigabyte says that the onboard 32-bit ARM processor helps deliver low-latency performance and fast processing for a responsive experience. 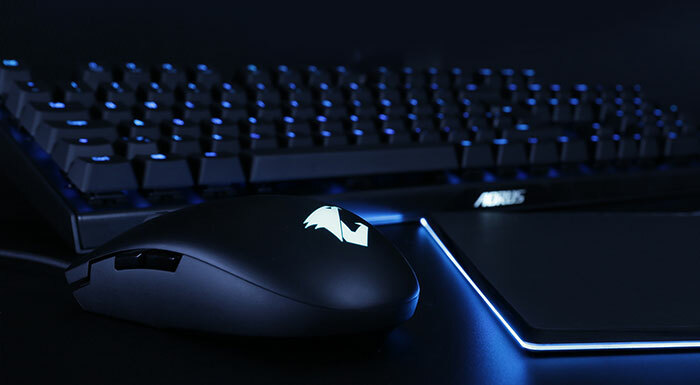 Every button on the Aorus M2 can be configured via Aorus Engine software and saved onboard the mouse for convenience and portability. 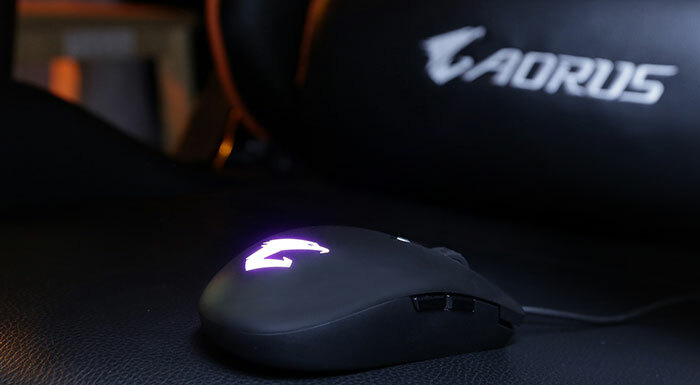 Last but not least the Gigabyte Aorus M2 gaming mouse has RGB Fusion 2.0 LED lighting. 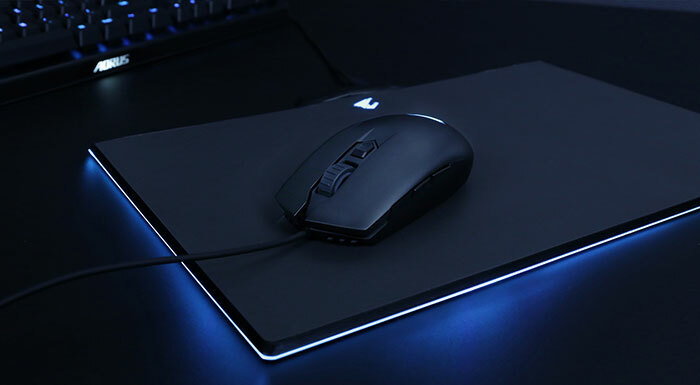 You can choose various lighting effects for the mouse, or sync them with the rest of your compatible RGB LED hardware. Again the Aorus Engine software comes into play for this level of customisation. By the looks of it there is a single RGB lighting zone on this mouse - the palm logo area. Gigabyte hasn't provided any information about pricing and distribution. However, a quick retailer search in the UK found it listed for £21.99 with limited availability.